It must be the season for figs! I've been seeing them everywhere! Good thing for me because we had some friends over for dinner the other night and I needed to make some sort of appetizer. I was inspired by the dates stuffed with goat cheese I had a couple weeks ago and thought, why not stuff the figs with goat cheese? 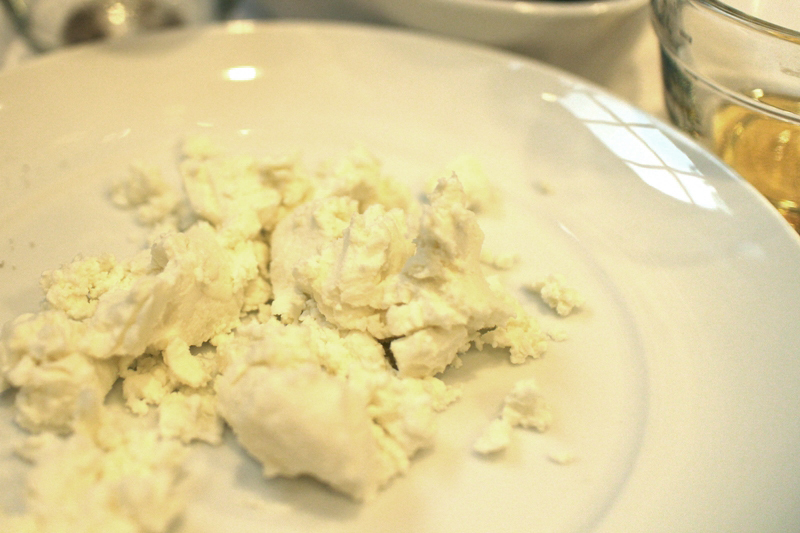 The sweetness of the ripe figs and honey complemented the richness and warmth of the goat cheese so well. The balsamic vinegar added the perfect amount of acidity to balance out all the mingling flavors. Love figs, with cheese, perfect! I can attest to their tastiness - they were delicious! looks really yummy Khammany! Thanks for sharing! Looks like a wonderful appetizer! I love purple figs! I meant to congratulate you last week on your anything blue feature but oh did time slip away from me!! I was so excited when I saw your post! I love figs too - but they don't grow hereabouts, and are expensive in the shops. But when they do appear I'd love to try this; it sounds really yummy! They look very yummy! Hope you had a great time. This looks really, really tasty!! I've never had figs before. Oh I'm a huge fan of sweet ripe figs! A lovely idea for an appetiser and thank you for your recipe. I'll definitely use it next autumn (where I live we're in Spring)!! It looks lovely and yummy! I love figs. I'll try to find some not too expensive (they are quite expensive here) to try your recipe. I love figs but I've never made anything like this! I know I would LOVE it! Hugs! This is one of my favorite appetizers. I've been seeing baskets of nice ripe figs, too, and I'll be trying them your way with the balsamic vinegar next time. Sounds good! Hi Khammany. I've been reading your blog for sometime & love what you share. and this fig recipe is my favourite, since living in France figs have become my favourite fruit. Every year I look for different ways to eat them, this year like you I've also been grilling them with goats cheese & honey, delicious. Thank you for your lovely comment about my sketch you along with other followers have given me such encouragement. Now I'm a follower of you I'll know when you make a new post look forward to seeing you pop by me again soon. 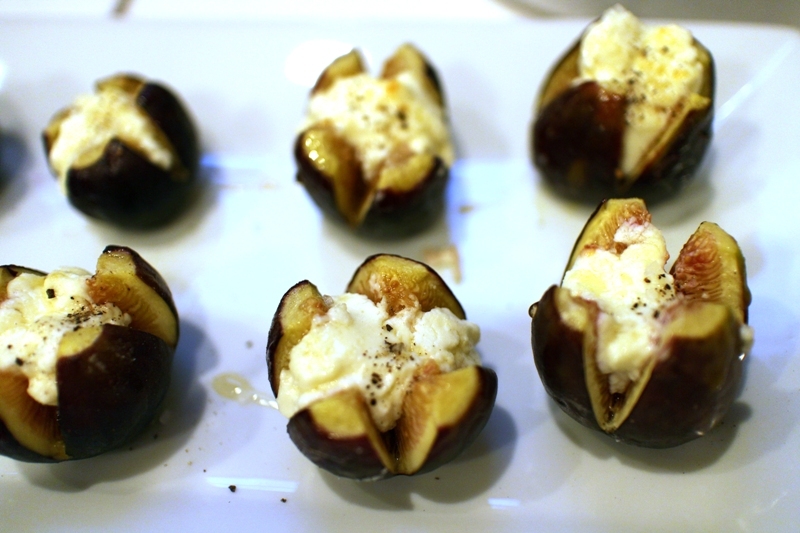 Your savoury fig and goat cheese appetizer must have been a sweet surprise for your guests! Would you believe I live in a country where figs are so bountiful and I've NEVER had one in my whole life?! Shameful, but true. Just do not crave fruit. Better get my act together and start expanding my food horizons, don't you think? Thanks for sharing this delicious treat! I just popped in for a casual glance at your site and fell in love with it! Needless to say, I have become a follower and following your husband's amazing photography as well. They sure are pretty in the first photo! I have nominated you for a Liebster Award for bloggers! Please see my post at http://www.homeandlifestyledesign.com/2013/09/i-won-liebster-award.html for details. Congrats and keep up the great work!